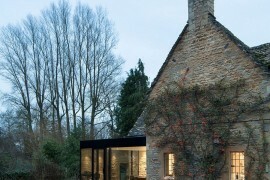 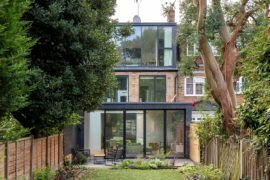 When it comes to revamping old houses with a heritage façade and giving them a contemporary new makeover, it is often the rear extension that comes to the rescue. 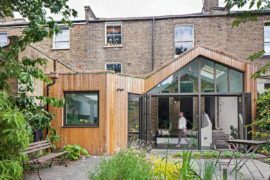 The advantages of a smart, modern extension that acts as an interface between the interior and the backyard go beyond the obvious. 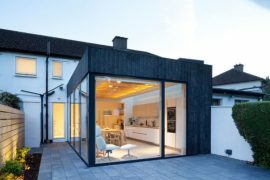 For starters, this allows architects to work within existing building norms and to preserve the classic appeal of traditional homes without sacrificing on functionality. 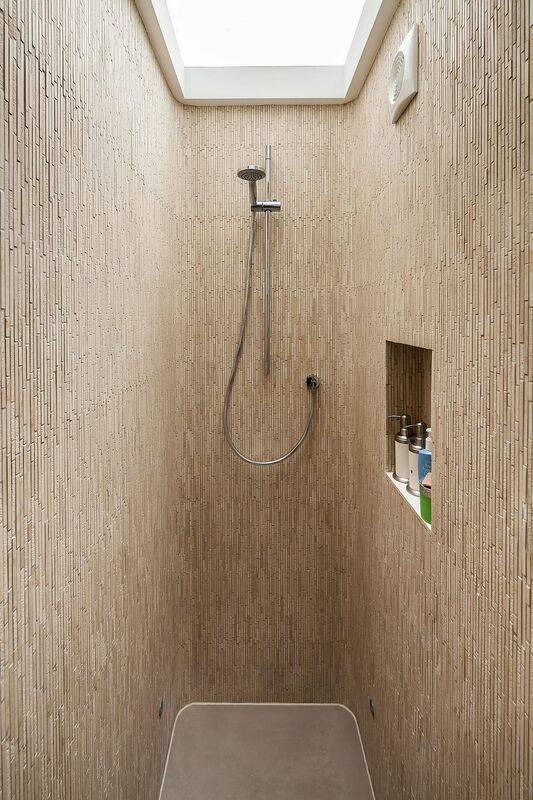 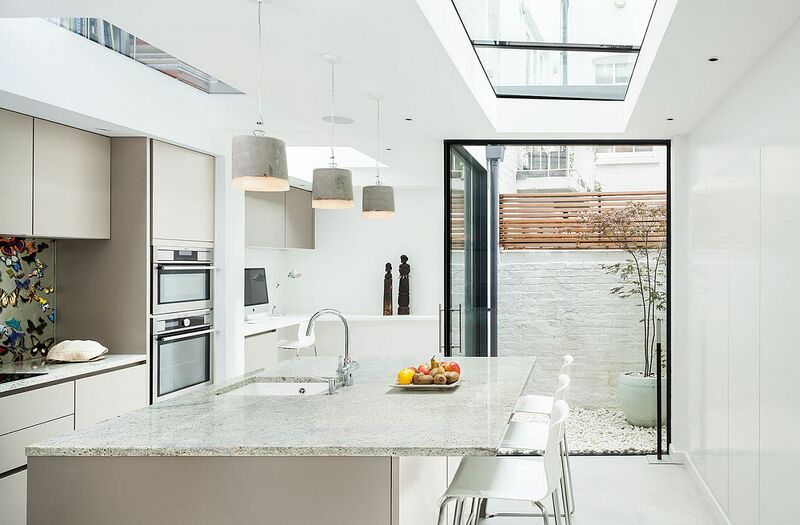 Then you also have the charm of a revitalized interior that is filled with a flood of natural light. 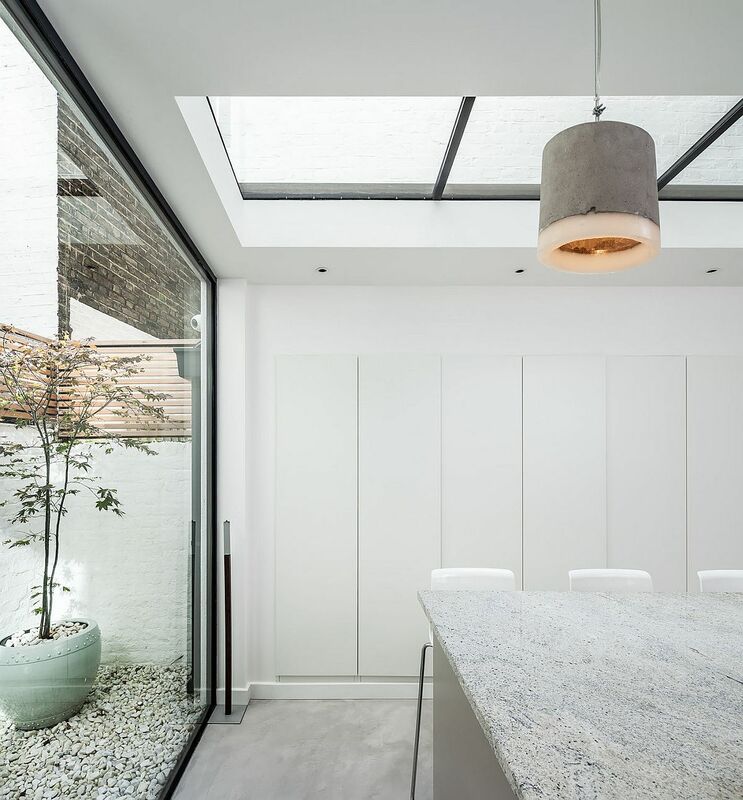 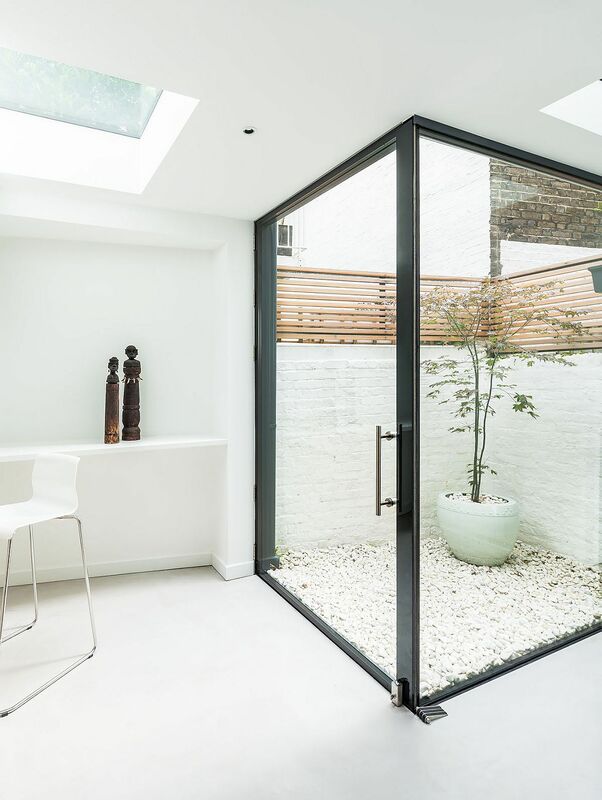 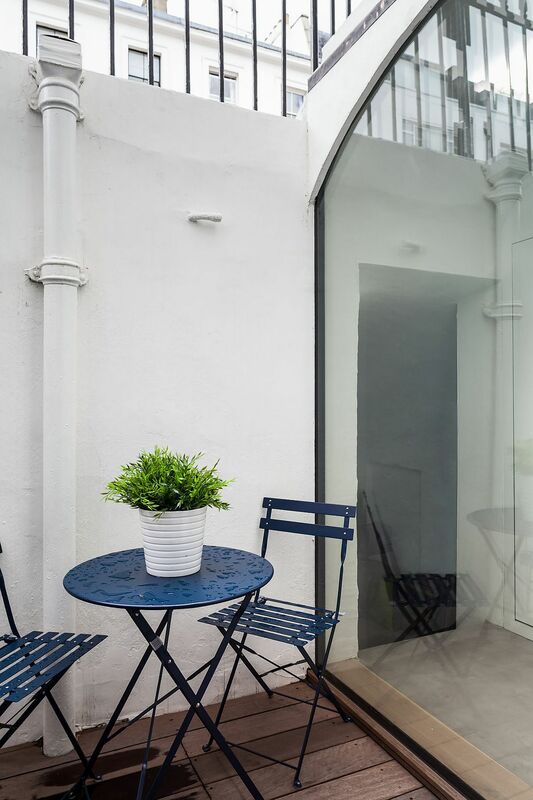 The gorgeous Westmoreland Terrace is another perfect case in the point as a glazed, contemporary rear extension completely alters this classic British home. 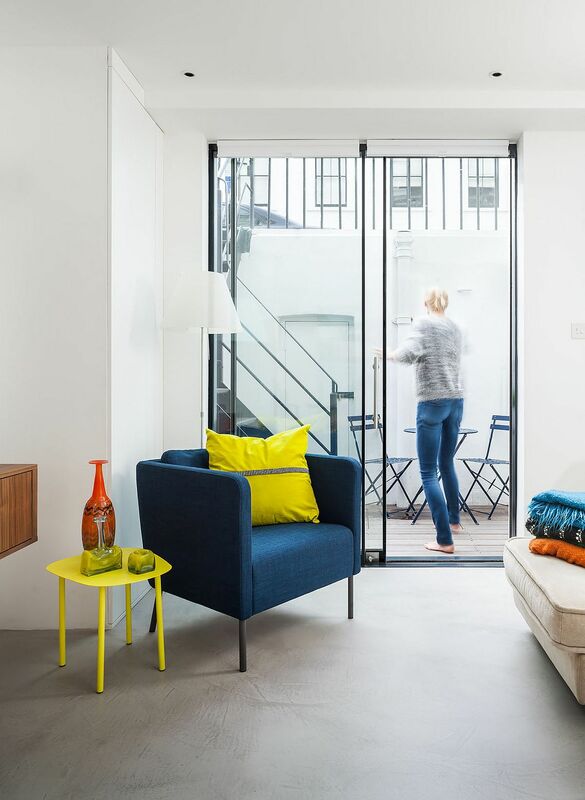 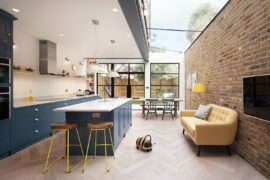 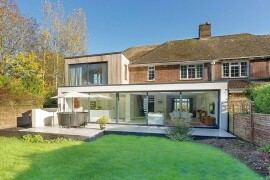 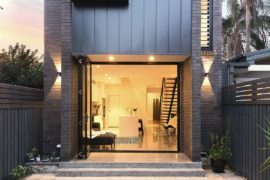 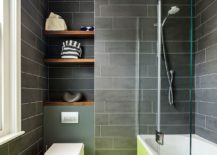 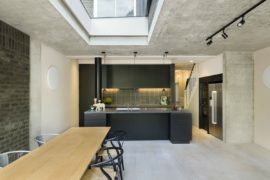 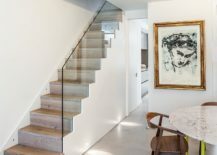 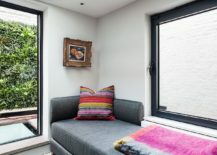 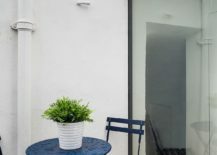 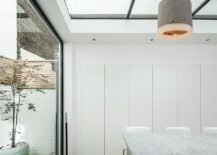 The task of giving this dreary residence a new lease of life fell upon UVArchitects, who added the rear extension as a transition zone between the existing home and the small rear garden. 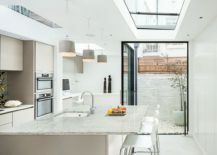 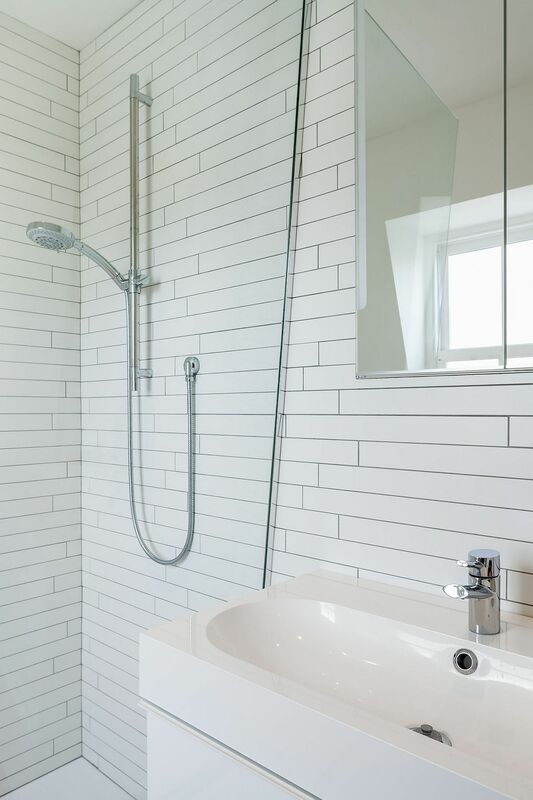 Apart from altering the floor plan of the house and reworking the plumbing and electrical installations, the addition focused on bring in natural ventilation even while preserving a sense of privacy. 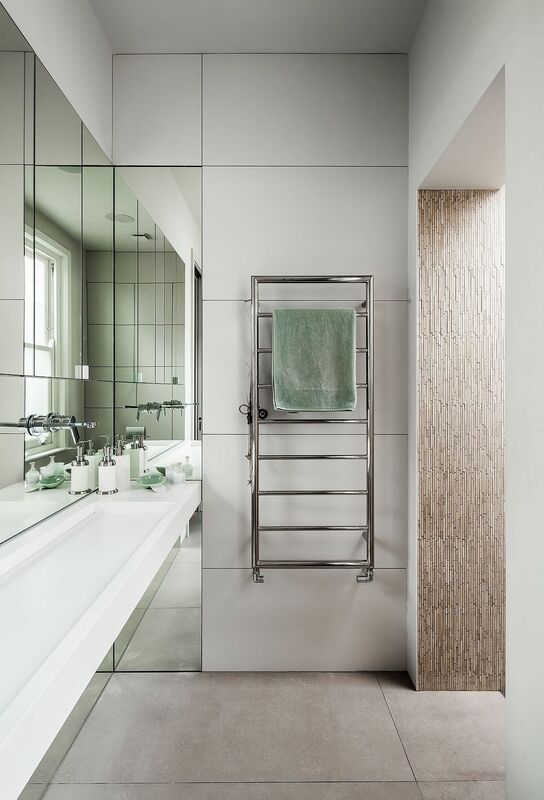 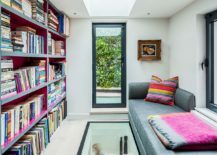 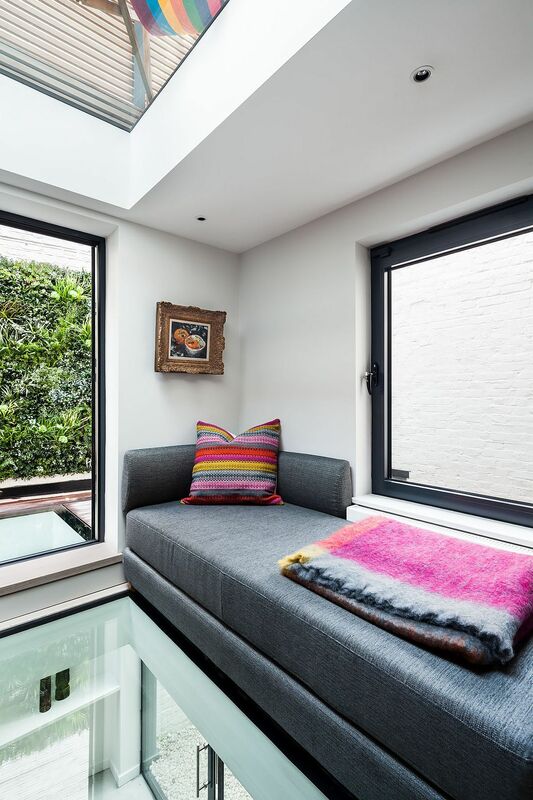 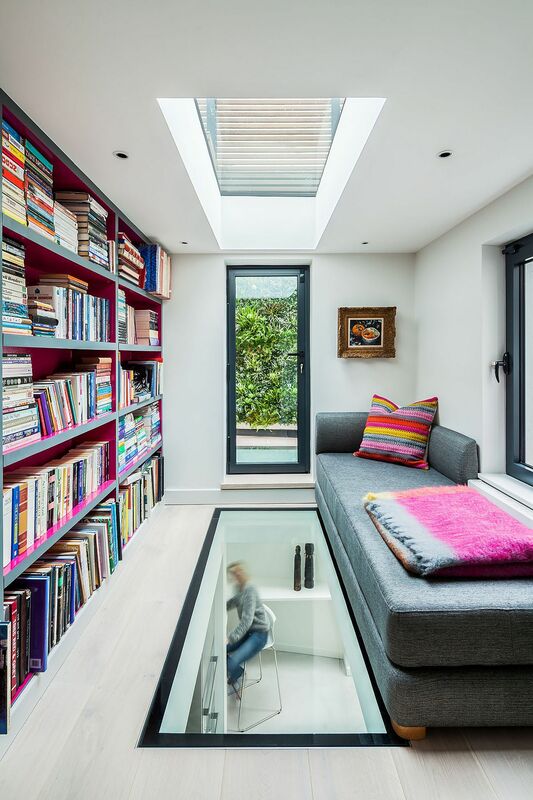 The top level guest room and library features a glass floor that allows light to filter through to the lower level even as cleverly placed skylights do the trick in bathrooms and bedrooms. 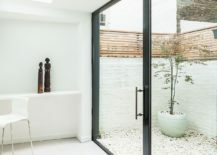 A roof garden with wooden screen creates a small and cozy retreat that offers ample privacy while it is a neutral color scheme anchored in white that reigns supreme indoors. 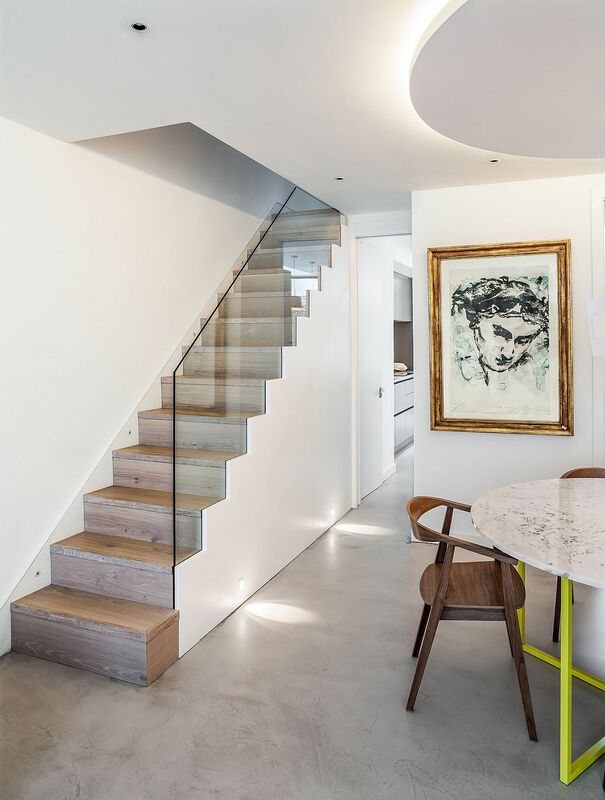 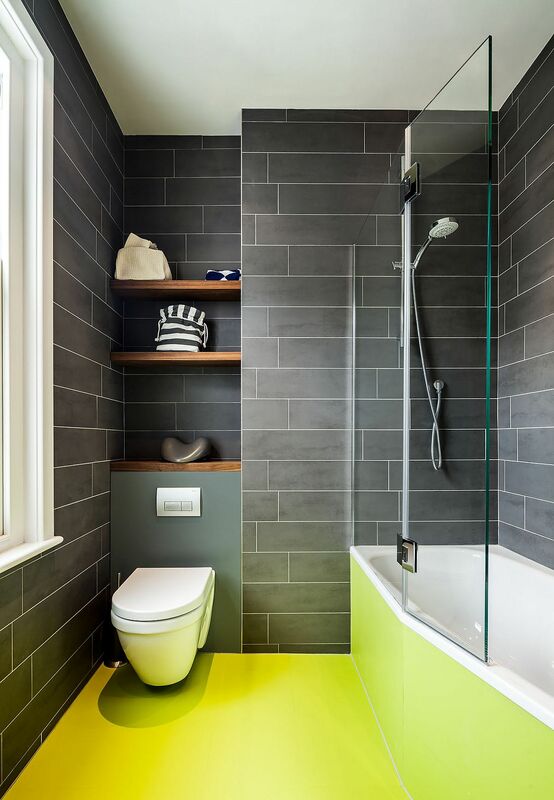 Space-savvy design, a monochromatic backdrop along with bright and colorful accent additions fashion a home that is as modern as it is cheerful and refreshing.